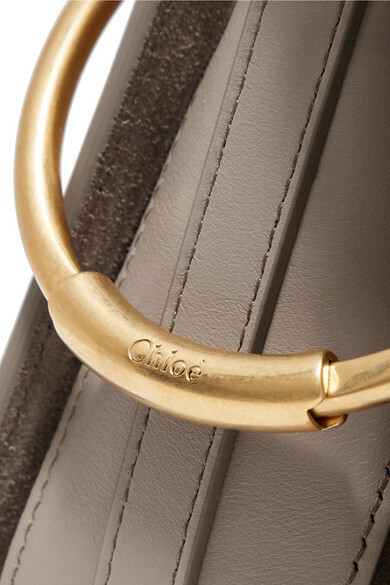 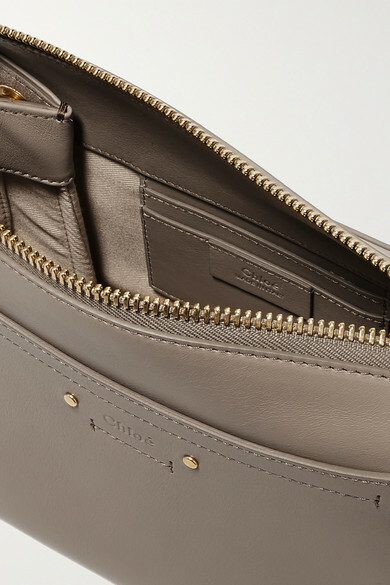 This 'Roy Day' bag is part of Natacha Ramsay-Levi's debut collection for Chloé. 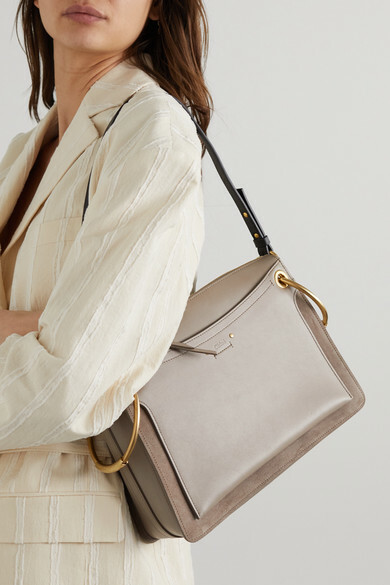 Made in Italy from supple leather and suede, this small version is punctuated with oversized gold rings and unzips completely to make it easy to rummage through your bag on busy days. 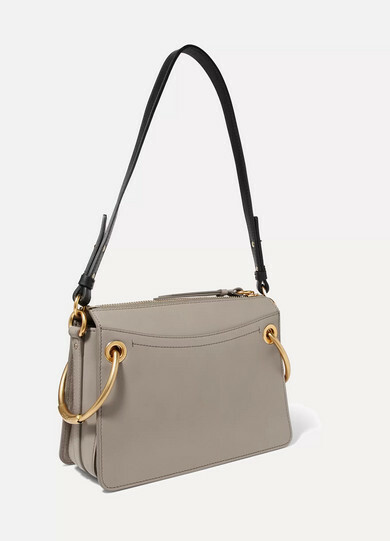 Switch between the black or tonal gray straps. 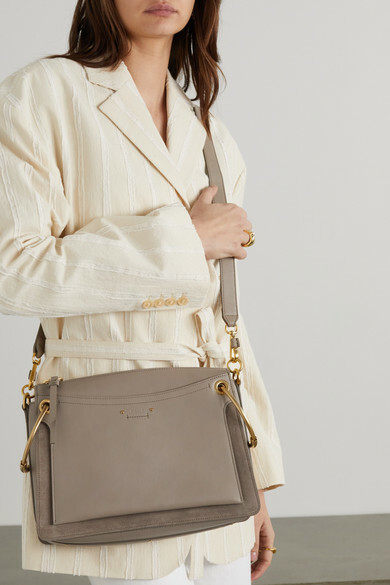 Shown here with: Chloé Dress, Chloé Ankle boots.